Bernie and Libby Simmons, owners of A Taste of Heaven, are catering a Halloween party at the newly remodeled, upscale apartment building Berkshire Arms which they believe is haunted due to a murder when it was the Peabody Hotel. The host is murdered, and the sisters want to solve the mystery. Lauren Riley is a detective for the Buffalo Police Department. Her specialty is cold cases, and she is very good. However, when she is convinced that a teen is innocent of a murder, she agrees to work as an investigator for the defense to get him off. It just may end her career. Mimi Rousseau has just opened her dream bistro and inn with the financial help of her friend and mentor, Bryan Baker. Things are going well until he is found murdered. She is a prime suspect and must find the real murderer before she is locked up forever. Billionaire Max Emerson travels to his family home after learning of his parent's tragic deaths in a suspicious automobile accident. He hasn't seen his family for several years, since he was essentially disowned, and must work against his family & law enforcement to find who murdered his parents. Here's a fascinating mystery set in the time of beloved composer, Franz Joseph Haydn; he is the main character and is preparing music for the upcoming visit of the Empress. His principal violinist is causing havoc, and the discovery of a murdered body also complicates things. When Leanne Bolter is found brutally murdered in her flat, her flatmates are feeling guilty since they didn't hear a thing. The murderer has killed before, and it turns out there are almost a dozen cold cases that are related. There is no evidence, however, and the murderer may just go free. Veronica Speedwell is one of the most unique protagonists in the suspense/thriller genre and makes for an interesting read. When Veronica is asked by the Queen's daughter to find a murderer, she goes about it very differently than most Detectives. Fascinating and Fun. The English story set in Selchester Castle during the early 1950s continues, with a new heir and a new murder. Roe and her new husband Robin are coping with the disappearance of Roe's half-brother, Phillip, and several of his friends. Are they still alive? How could an entire group of kids go missing? Hopefully, Roe who is an amateur sleuth, can find them before it's too late. Penelope Sheppard has received a scholarship at a prestigious college in Australia. Death seems to follow her around, and three of her fellow students are murdered. There is much suspense in this psychological thriller. Monk investigates especially grisly murder in the Hungarian section of Victorian London, and since investigations were fairly slow, more bodies begin to pile up. He seeks help from his wife Hester, as well as a disturbed war veteran. Seasoned chef, Bel McGrath, fancies herself as an amateur sleuth, and when she sees a picture of her best friend who disappeared decades ago, decides to investigate. Of course, she puts her life and others in danger, and there are several suspenseful moments. A fun series to read. Can a psychopath manipulate her nemesis Kim Stone even from prison? Detective Kim Stone is on the edge and may not be successful in solving a series of murders due to Dr. Alex Thorne, and her personal sanity is at stake in the 5th installment of the series. Ellie Haskell is invited to meet with her Grandmother's childhood friends. They claim that her Grandmother wants to talk to her. The problem is that her Grandmother is long dead. Against her better judgment, Ellie gets caught up in uncovering family secrets and danger. Jules Capshaw is working in her family bakeshop, Torte, and enjoying being back in her hometown. However, when a tacky chain restaurant that doesn't fit the Shakespearean theme of the town is opened and the owner is murdered, Jules starts investigating. Tracy Crosswise is back and investigating a hit and run that killed a 12 year old boy. The suspect is in the navy and the navy takes over the investigation, but botches it and Tracy stays involved. Mangus Craig, "Steps," has a special ability which allows him to see the essence or aura of people. This is helpful in his job with a special tracking unit of the FBI. He and his partners are tracking a man referred to as the Sad Face Killer, and must find him before more bodies turn up. The murdered body of a young girl is discovered in an empty house, and DI Stephen Greco and his team must investigate and find the perpetrator before more of the same occurs. However, DI Greco has personal problems of his own to solve, and his personal relationships may be at risk. A serial killer is leaving frozen body parts at several crime scenes. The case intrigues Detective Emily Stone, who works cases covertly, and she and her team may not be able to survive this case. Liv McKay is a party planner in the small southern town of Dixie, Tennessee. While meeting with a client, she discovers a dead body in the freezer. She and her best friend Di Souther work together to find the murderer. This book has plenty of humor as well as twists and turns. Henrie O receives information in the mail that makes her doubt that her husband's death six years ago was an accident. She travels to a beautiful mansion in Kahui and manipulates her way into staying so she can investigate her husband's death, putting herself and other in grave danger. A missing child is probably the most horrifying scenario that can happen to a family. When the Courtland family is on vacation, their son is injured and their daughter disappears. The novel follows the characters and the psychological changes they go through during this ordeal. A very nasty woman, Mrs. Pryce, is found murdered in her neighborhood in Bath. There are dozens of suspects, and Joanna Mackenzie becomes involved in the investigation and must work with her former boss and lover James Carrick. Ian Hamilton, a new detective, discovers a strangled body in Holyrood Park. Although he has very little experience, he is assigned the case and must find the murderer since more bodies are being discovered. 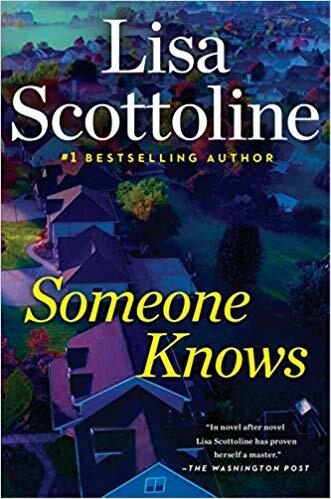 Mary DiNunzio and her law partner, Bennie Rosato are pitted against each other in this excellent novel, and things threaten to get out of hand. Plenty of suspense and the book will keep readers on the edge. In this light culinary mystery, Robbie Jordan opens a country store/restaurant and a difficult acquaintance is found murdered with one of Robbie's distinctive cheese biscuits in her mouth. Robbie becomes the number one suspect and must prove her innocence. Charity Gannon discovers some undelivered boxes from 31 years prior while cleaning out her Aunt's shed after settling her Aunt's estate. Thinking it would be fun to deliver them and surprise the recipients, Charity puts herself in danger and tries to unravel a 31 year old mystery. Did Joseph Soderini de Avenzano sell his soul to the devil to become the most famous chef in America? There are suspicious goings on at his famous Palm Beach restaurant, and David Fox is a journalist writing de Avenzano's biography. 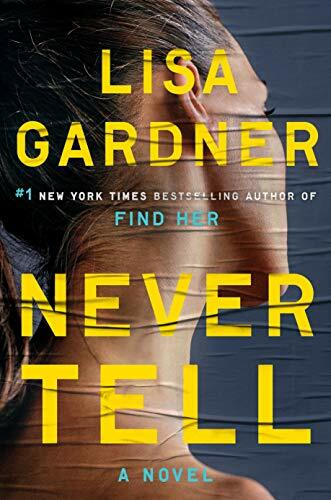 Written in the style of Gone Girl, this fascinating debut novel tells the story of a murdered 15 year old girl through the eyes of Cameron, who stalked her, Jude, who hated her, and Russ who is investigating the murder. Well-written and fascinating. Ellie Blackwood witnessed her mother's murder when she was six. On the 18th anniversary of her mother's death, Ellie finds a woman's body where her mother was murdered. A #3 on the woman's forehead and then a #2 on another body she finds convince Ellie that she is #1 and in grave danger. Chessa Paxton has been dreaming of planning and designing costumes for an event like The Happily Ever After Ball, and everything has turned out perfectly, that is until her husband is murdered and there is a massacre including several guests. Chessa is the main suspect and must run. Five friends who dance semi-professionally and call themselves the Happy Hoofers, are excited to dance in the Christmas program with the Rockettes. However, things get dangerous when some of the dancers are murdered. Zoe Walker sees her picture in an ad for a strange website, and then finds others who have had the same experience are being hurt or murdered. The police aren't too worried, but Zoe is diligent in getting them to help before something terrible happens to her. Savannah and her husband Dirk travel back to her home town to attend her 25th high school reunion. Savannah's nemesis is found murdered and she is the main suspect. Didi Storm, a celebrity impersonator in Las Vegas, has been missing for 20 years; it is rumored that she has jumped from a tall building. Her daughter, Remmi witnesses the jump and learns that it isn't her mother. Why, after 20 years, has Didi gotten new press, and what really happened to her? Roxanna Baez' dysfunctional family has been murdered, and she's missing. D.D. Warren solicits the help of kidnapping survivor, Flora Dane, to help in the investigation. 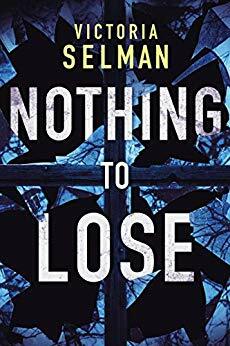 When Sarah Quinlan visits her husband Jack's childhood home for the first time, she learns that she has been lied to and that Jack's dysfunctional family is involved in more than one suspicious death. The grisly murders of two people are being investigated by CPI Dexter Smalacombe and his new sergeant, Emily Corndon. The murders don't seem to be connected, but as they delve further and find new clues, the connections become obvious, and the twists and turns will keep readers on edge. Noted reporter and sleuth, Emma Cross, is invited to an artist's gathering to report on the happenings. When one of the artists is found murdered, and the weather makes it impossible for anyone to leave, the suspense builds, and everyone feels they are in danger. Phryne Fisher, protagonist in the series bearing her name, helps some friends solve two murders, and prevent their murders. Phryne is a delightful character and readers of historical fiction will enjoy this novel. The Eiffel Tower is new and visitors are flocking to see it. Victor Legris, a young bookstore owner, is present when a woman is stung by a bee and dies. More similar deaths occur and he begins investigating. Is it simply death by bee sting, or are these victims being murdered? Three friends are having a photo shoot to cross an item off their bucket list, and discover gunshots that are too close for comfort. They find the victim near the water, & since he is unconscious, can get no clues from him. They team up to find the would-be murderer & find themselves in danger. When her abusive ex-husband is released from prison, Lindsay, who has started a new life in a new town, finds she is being followed and someone is searching her home. Convinced it is her ex, she must rely on friends to keep her out of danger. While driving through a rural Virginia town, Marty recognizes a man on a billboard that he put away for murder and knows this man served his time. He has recently been murdered, and Marty feels that it is the right thing to solve the murder. Jude has run away to a small town with a messy bookstore where she is hired to organize the books. She lives in the gravediggers cottage, and while a little eerie, finds her neighbors are very quiet. Franza Oberweiser and her team are trying to solve a brutal murder and everything points to the victim's foster sister, who has been reported missing. Things don't quite add up, however, and while following clues, Franza exposes long-buried secrets that involve jealousy, murder, and blackmail. Carl Logan is back in the second book of the Enemy Series. He is captured and tortured by the Russians and it seems that his agency has set him up. Victorian England is upset by Jack the Ripper, as well as several murders of women who have been strangled by a silk scarf. Viscount William Everhard's mistress is one of the victims; he is searching for a new mistress, while Detective Inspector Bloodstone is trying to solve the cases. When a body is found in a sarcophagus on the grounds of a church, Kate Hanson and her UCU team are called in to investigate. This leads to much suspense and danger. Aiden Bishop sees the murder of Evelyn Hardcastle through different hosts each day. The only way for him to escape is to solve the murder. Innovative and fascinating - a must read. The women who run The WISE Enquiries Agency become involved in the murder investigation of a famous artist whose brother is the prime suspect. The quaint setting in Wales makes the novel charming; it is a quick and fun read. Sean Sean gets mixed up in a smuggling and murder plot which takes place of the island of Yap. Lincoln and Amelia become involved in the investigation of several murders of jewelers and engaged couples. "The Promiser" causes panic in the area, and there is plenty of building suspense. 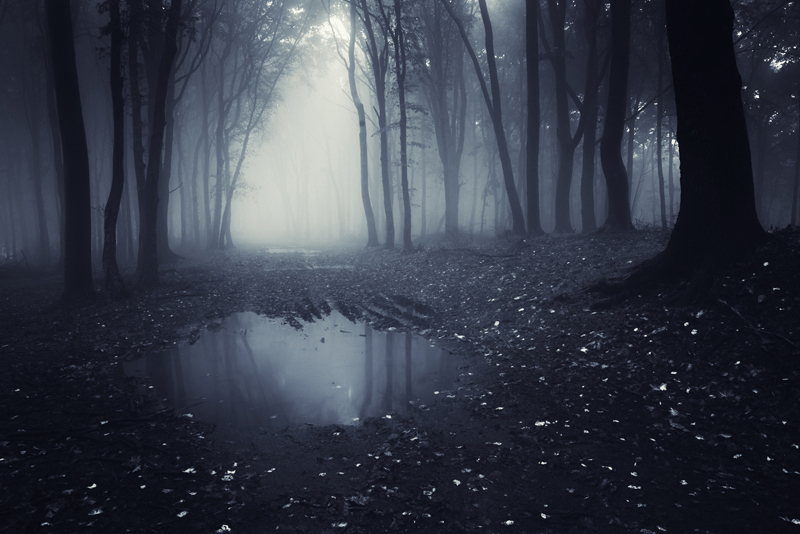 Ruby Sprackling is being held in a cellar by a madman, and may be subjected to the same fate as the girls before her who have been starved to death. DI Helen Grace is called in, but the conflict and problems in her department are preventing her from solving the case. Granville Collins has been found shot in his office, just like the note received by the police said he would. However, the police were watching the office; no one entered or exited. Inspector Garth has the daunting job of finding the killer. Amos Decker is back, and he's witnessed a murder on a sidewalk outside the FBI building. 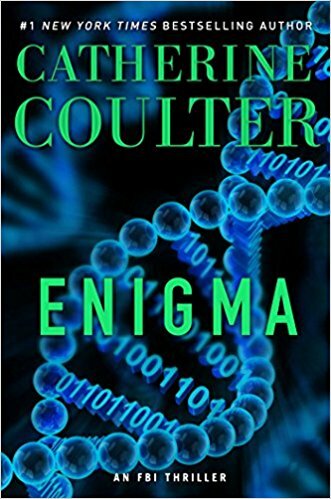 The DIA wants to investigate, and wants Decker to stay out, but his skills are needed, and this thriller will keep you on the edge of your seat. Flight attendant, Cassie Bowden wakes up after an alcoholic blackout to find the man she had spend the night with dead. His throat had been slashed and she is also covered in blood. She is, of course, the prime suspect, but can't remember whether or not she killed him. Jake Travis goes undercover for the FBI to expose a corrupt art dealer and murderer. In doing so, he puts himself and his colleagues in grave danger. Plenty of suspense. Zelda Fitzgerald, wife of the famous writer, Scott Fitzgerald, has hired Raissa and Reginald from the Pluto's Snitch agency which specializes in the occult, to help her friend, Camilla who is in an asylum awaiting a lobotomy. There is plenty of suspense and a few surprises. Maggie Hope is a unique and likable character, and in the sixth installment does not disappoint in her quest to find a Jack the Ripper copycat murderer, and to get the women who serve during the war effort the pay and benefits they have earned. Jurek Walters, notorious serial killer, has been locked up for years, but people are still disappearing. When one of his victims is found wandering, Joona Linna must find Walter's accomplice by infiltrating the mental hospital where Walters is being held. Vera Stanhope is not your typical detective, but she's clever and smart and is able to solve homicides in her small English town. When she agrees to look in on a prison inmate's daughter in exchange for information on solving a cold case, the suspense builds and danger is around every corner. Suzanne Lombard, daughter of a US senator and now Vice President, disappeared 10 years ago and was never found. Gilbert Vaughan is hired to find her, Investigating turns out to be very dangerous, and Gilbert just may be a victim of the short drop. After witnessing a murder, Marty Singer is hired by the victim's family to find her killer. While investigating, he finds himself battling corrupt businessmen and a politician. 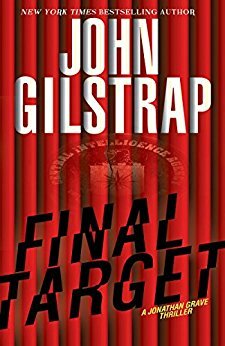 An accidental switch of laptops in the airport security line has life-changing consequences for Michael Tanner, owner of a fledgling gourmet coffee company, when he finds the laptop he takes home belongs to a powerful US senator and that the laptop contains top secret security information. Robin Lockwood has just landed a job with one of the toughest lawyers around and she is helping defend another lawyer in a murder he says he didn't commit. There are plenty of twists and turns - Margolin has written a novel that will keep readers on the edge of their seats. Set in New Zealand, this new series is fascinating. Although Magdelene Lynton died almost 40 years prior, the facts don't add up and Ngaire Blakes investigates what really happened. Tracy Crosswhite and her Seattle team of detectives investigate the body of a woman found submerged in a crab pot on Puget Sound. They believe it is the body of a missing woman and the missing woman's husband is the main suspect. Twists, turns, and surprises abound. Kris Wiley refuses to believe that the body parts she is shown in the sheriff's office are those of her father. Back in the 30s there were murders that are still unsolved and the body parts she is supposed to identify as her father's fit with what happened so long ago. Is it really him? Commisario Guido Brunetti is asked to investigate a near-drowning that happened 15 years previously. Although reluctant, he feels obligated, and his investigation leads to plenty of suspense and ultimately murder. Alex Dale is trying to turn her career around by publishing an article on Amy Stephenson, who has been in a vegetative state for 15 years after someone attempted to murder her. Alex' investigation causes quite a stir, and the suspense is palpable as she tries to uncover the facts. Jack Renner and Maggie Gardiner are back in the second book of the series; they're investigating what becomes serial murders at a large newspaper. Suspense is high, and Jack and Maggie's distrust of each other make them a unique duo. What if it was possible for you to use a miracle serum and look thirty years younger? Anna Wellingham is given that opportunity, but finds it may not be worth it. In fact, others who want the serum are willing to kill her for it.